Tonight, I’m just not feelin’ it…, though I’ll write anyway, and just make it quick. 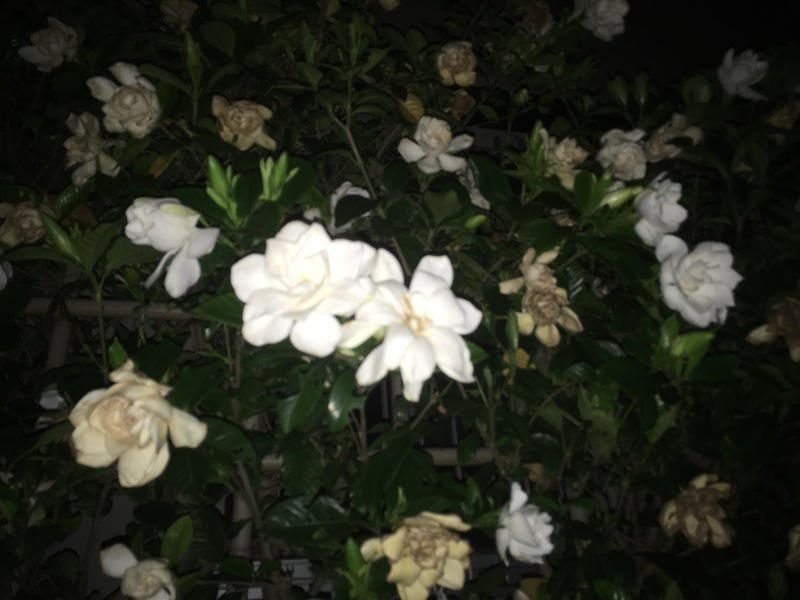 Walking home, I stopped to smell these flowers (despite the fact that it was near one AM already, and I was exhausted [still am, too]) I was passing. I read this thing on the inside of, I believe, a Dove chocolate wrapper, and it said, “Take time to smell the flowers.” Somehow, it translated to, ‘Take time to stop and smell the flowers,’ and has stuck with me as such ever since then. I make particular notice whenever I see flowers and feel as though I don’t have the time to stop, and I re-evaluate how I am living my life each time I see flowers and am reminded of this line (almost every time they look pretty). So, tonight was no exception. I stopped and smelled these flowers, flowers I had yet to notice during he daytime. And, would you believe it? They smelled like popcorn. Buttery popcorn, though only lightly buttered, came in through my nostrils at every flower. They might even have been a sort of roses. White, popcorn roses. It was spectacular, and I don’t even particularly like the smell of buttery popcorn. These days, with all the noise in this world, doing such simple things brings meaning back to us.